NO MORE SCRAPING: The Weather Shield car windshield cover keeps snow, ice, and frost off your windshield to save you valuable time and energy on those chilly mornings. 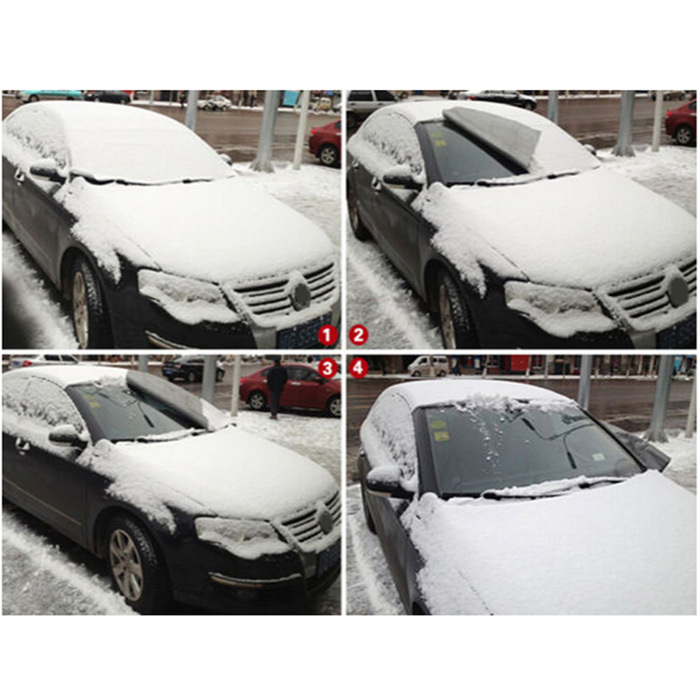 Just peel off the auto windshield cover, shake off the ice, and drive away in no time. winter. Use it during spring to keep pollen and bugs away, during the fall to keep leaves at bay, and during summer as a truly effective windshield cover for sun and that dangerous UV radiation. STAYS IN PLACE: With 4” x 4” extra strong magnetic plates at each corner and a silicone gripped back, this heavy duty ice windshield cover will never get blown away. And with flaps at the sides that go between the door and the door frame, you’ll never have to worry about the magnetic windshield cover being stolen. EASY TO STORE: You’ll never have to deal with bulky automobile windshield covers taking up precious space in your vehicle. With a storage pouch, this all-weather cover folds down to a fraction of its size and can be effortlessly stored in the trunk or glove compartment. 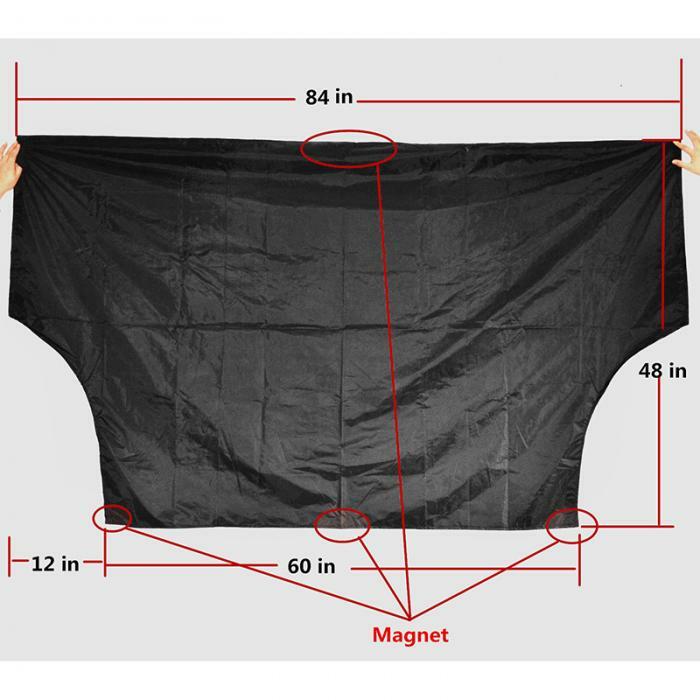 FITS MOST CARS: Whether you’re looking for the perfect sedan, van or SUV truck windshield cover, this one measuring 66” wide and 41 ½” high is certain to get the job done.